MORE EFFECTIVE THAN REGULAR FOAM ROLLING: The vibration massager technology minimises muscle pain felt during foam rolling by relaxing the muscle so there is no painful "digging in". 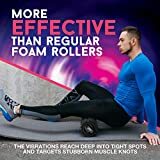 Unlike normal foam rollers, this can reach deep into tight spots, trigger points and muscle tissue. 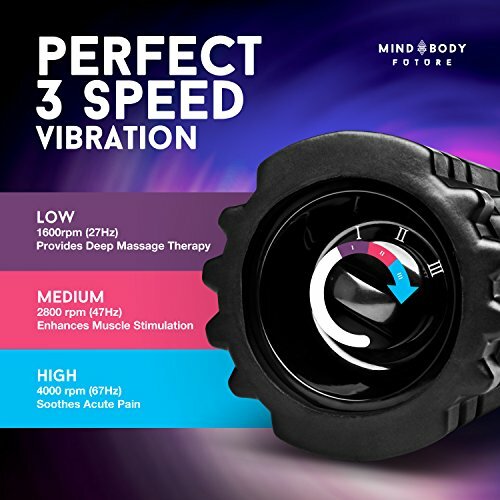 EASY TO USE: Perfect 3 speed vibration settings (Low, Medium & High) for myofascial release. Made from durable odor free EVA foam to withstand everyday use. 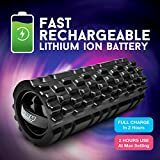 This cordless electric massage roller comes complete with a nylon carry bag, charger. The rechargeable lithium-ion battery delivers over 2hrs of use at maximum setting. 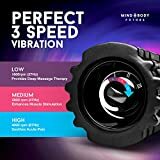 SPEED UP YOUR RECOVERY: Studies show that applying 50hZ force vibration to a muscle area five minutes before lifting can drastically reduce DOMS 24 to 72 hours after. 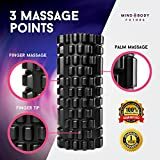 Use as a back massager for deep tissue muscle massage to soothe your aches and pains. 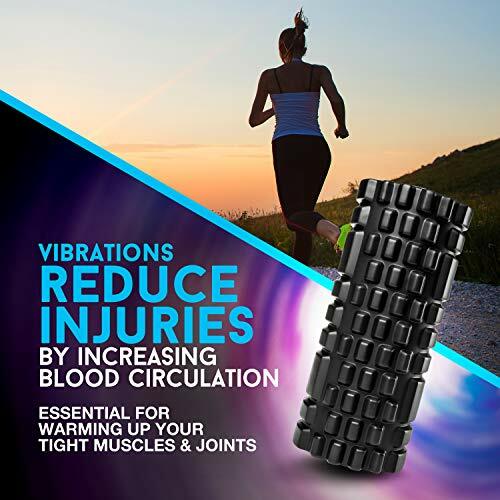 PREVENT INJURIES: The vibrations increase circulation and blood flow, essential for warming up tight muscles and joints before any sport, fitness exercise or physical activity. After a hard workout, it is the perfect way to roll out sore muscles and provide restorative massage therapy. Use for a few minutes each day to reduce soreness giving you days of pain relief. RISK FREE: Does this come with a Money Back Guarantee? YES! 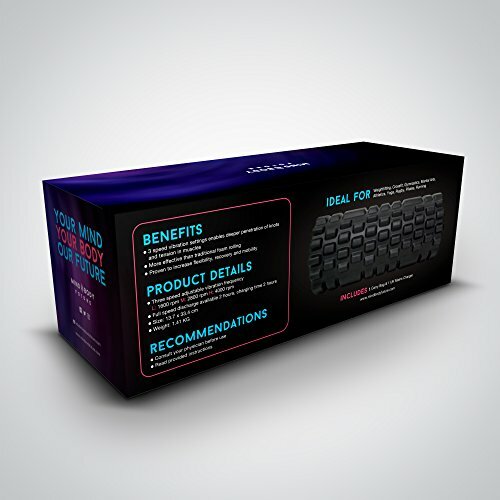 Your purchase comes with a full 90 day no-risk, no-nonsense 100% Money Back Guarantee. Also includes a 12 Months Replacement Warranty. 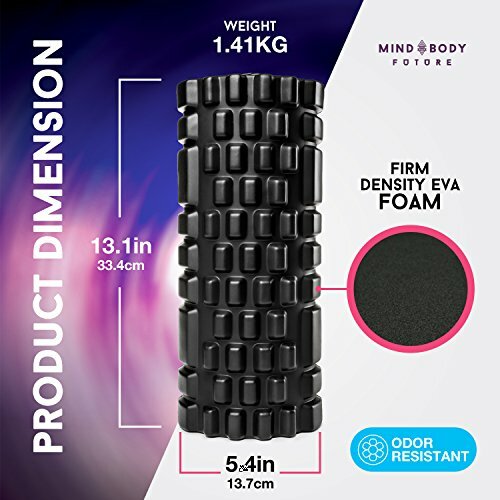 Mind Body Future Foam Roller Set 3 in 1. Includes Massage Stick and Peanut Massage Ball. Perfect for Trigger Point Therapy & Deep Tissue Muscle Massage. Marcus Smithers Premium Shampoo Scalp Massager Brush - Silicone Cleaning Exfoliate Scalp - Stimulate Hair Growth and Prevent Hair Loss - Suitable for Kids, Men, Women and Pets. 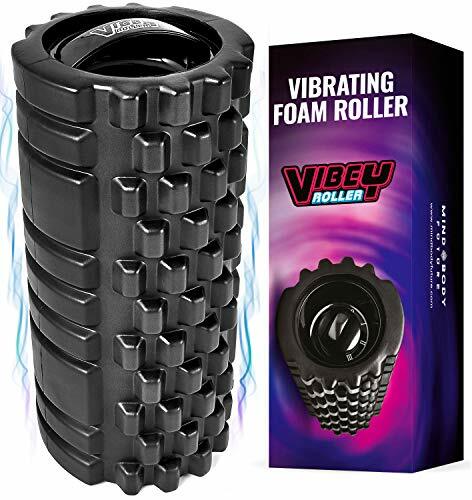 The Vibey Roller is an innovative and powerful therapeutic device combining pressure and vibration to deeply penetrate your muscles for improved recovery speed. 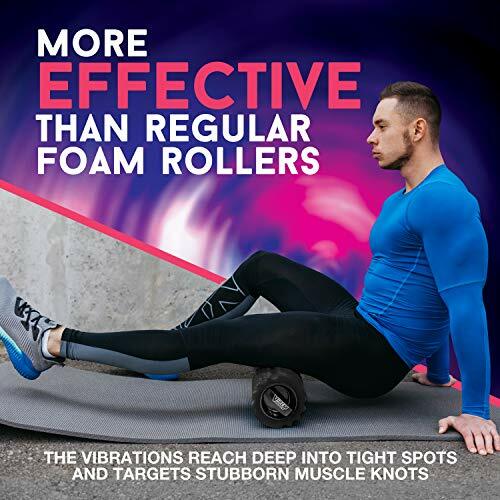 A GAME CHANGER: For the cost of a physio session and from the comfort of your own home, you can now flush away lactic acid and release knots & tension in your lower back, upper back, neck, quads, legs, hamstrings and calves. A MUST HAVE ADDITION TO YOUR GYM KIT: This is an absolute essential for Crossfit, Mountain Biking, Gymnastics, Weightlifting, Volleyball, Football, Swimming, Athletics, Running, Cycling, Golf, Tennis, Boxing, Judo, MMA, BJJ, Yoga, Muay Thai. 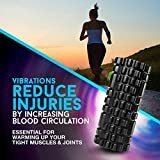 LIGHT & PORTABLE: This 13.7cm/5.4in x 33.4cm/13.1in, light weight and portable electric vibrating massage roller comes complete with a nylon carry bag, charger and instructions. Grab yours today from Amazon.co.uk exclusively.